1,181 stock photos, vectors, and illustrations are available royalty-free. 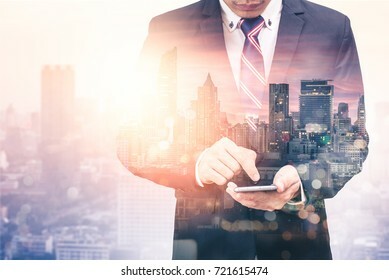 The double exposure image of the business man using a smartphone during sunrise overlay with cityscape image. 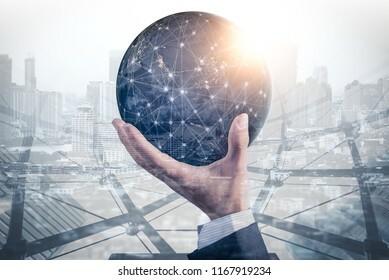 The concept of modern life, business, city life and internet of things. 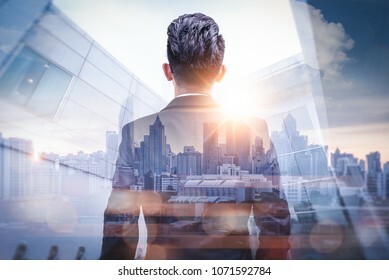 The double exposure image of the businessman standing back during sunrise overlay with cityscape image. 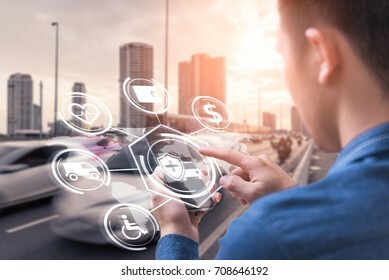 The concept of modern life, business, city life and internet of things. 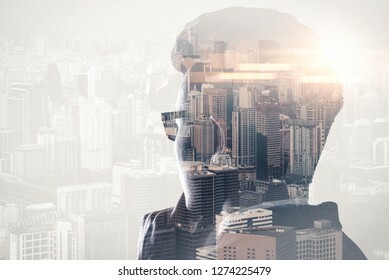 The double exposure image of the engineer standing back during sunrise overlay with cityscape image. 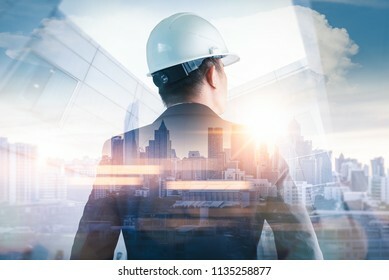 The concept of engineering, construction, city life and future. 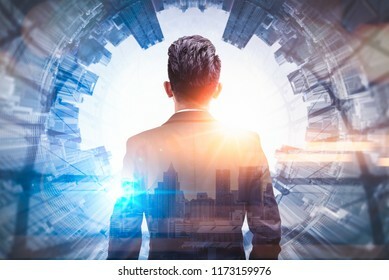 The double exposure image of the engineer standing back during sunrise overlay with cityscape image and futuristic hologram. 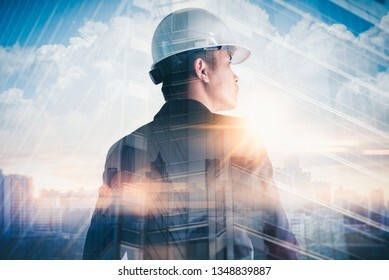 The concept of engineering, construction, city life and future. 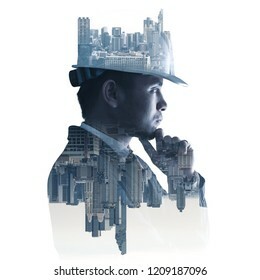 The double exposure image of the engineer thinking overlay with cityscape image and. 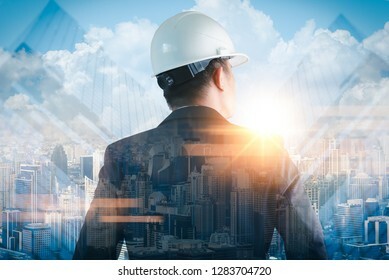 The concept of engineering, construction, city life and future. 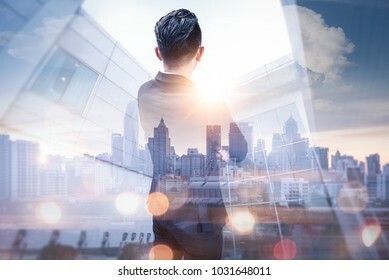 The double exposure image of the Businessmen are spreading umbrella during sunrise overlay with cityscape image. 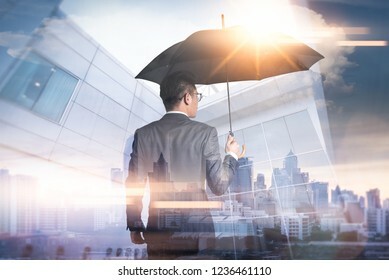 The concept of modern life, business, insurance and protection. 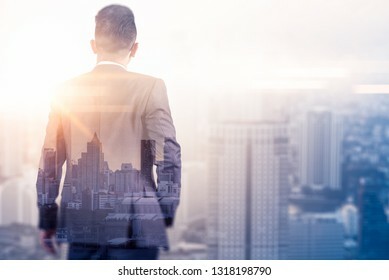 The double exposure image of the business man standing back during sunrise overlay with cityscape image. The concept of modern life, business, city life and internet of things. 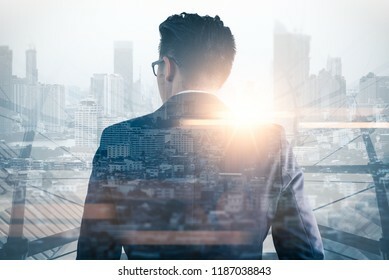 The double exposure image of the businessman thinking overlay with cityscape image and futuristic hologram. The concept of modern life, business, city life and internet of things. 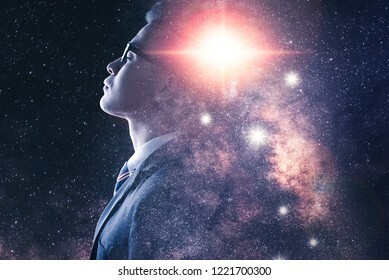 The double exposure image of the businessman thinking overlay with milky way galaxy image. 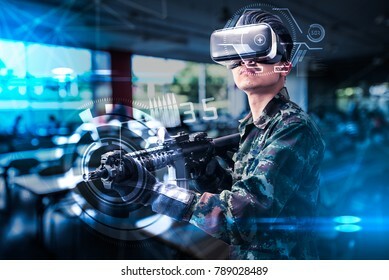 the concept of imagination, technology, future and inspiration. 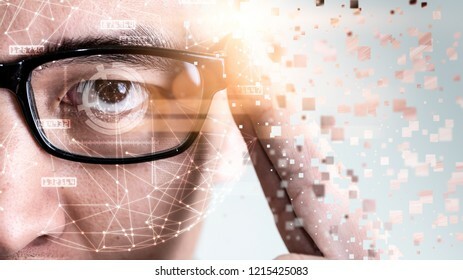 The abstract image of the businessman use a thumb scanning overlay with futuristic hologram. 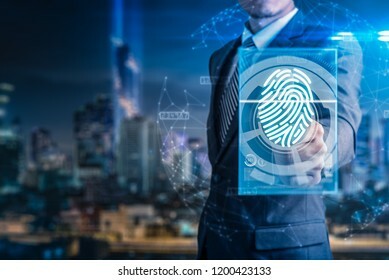 the concept of fingerprint, biometric, information technology and cyber security. 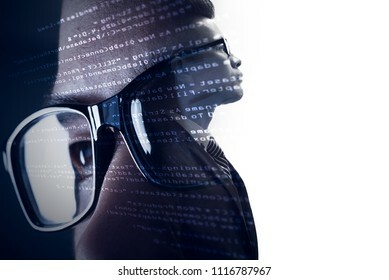 The double exposure image of the businessman standing overlay with source code and programmer image and copy space. 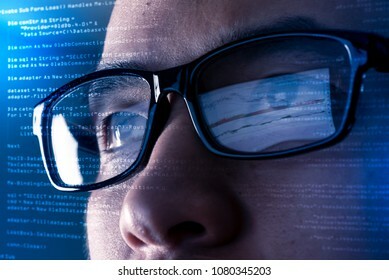 The concept of programming, cyber security, business and internet of things. 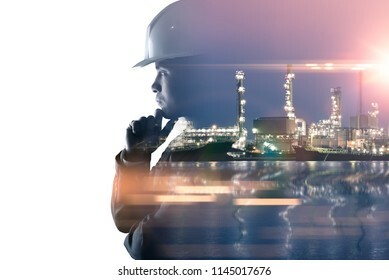 the double exposure image of the engineer thinking overlay with oil refinery image.The concept of energy, engineering, construction and industrial. 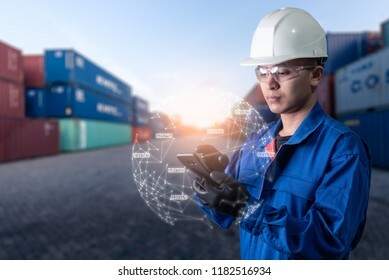 The abstract image of engineer point to the hologram on his smartphone and blurred container yard is backdrop. the concept of communication network internet of things and logistic. 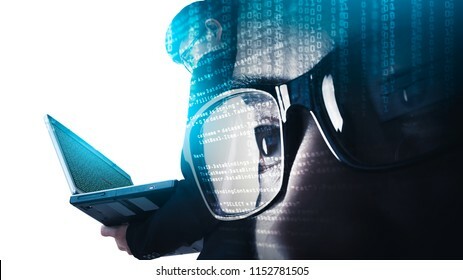 The abstract image of the hacker reach hand through a laptop screen for stealing the data as binary code. 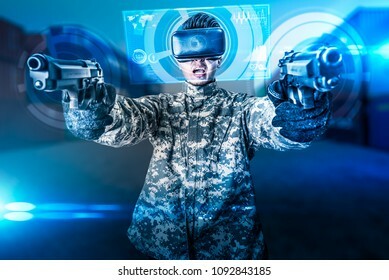 the concept of cyber attack, virus, malware, illegally and cyber security. 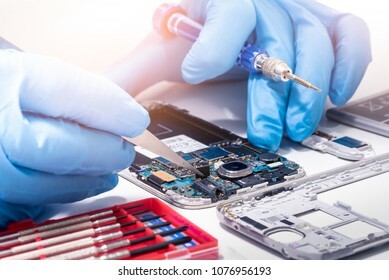 The asian technician repairing the smartphone's motherboard in the lab with copy space. 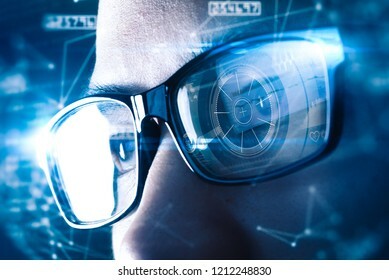 the concept of computer hardware, mobile phone, electronic, repairing, upgrade and technology. 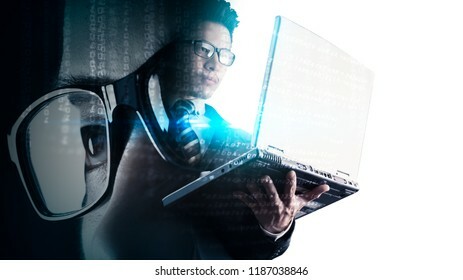 The double exposure image of the businessman using a laptop overlay with source code and programmer image and copy space. The concept of programming, cyber security, business and internet of things. 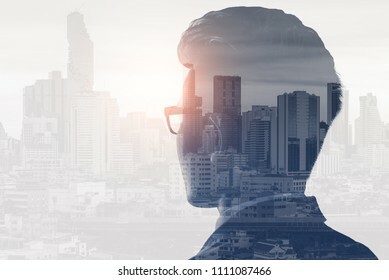 The double exposure image of the businessman thinking during sunrise overlay with cityscape image. The concept of modern life, business, city life and internet of things. 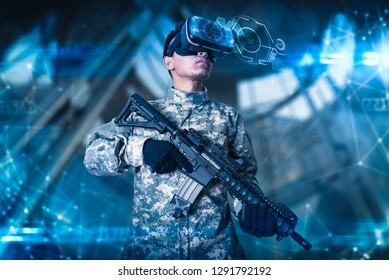 The abstract image of the soldier use a VR glasses for combat simulation training overlay with the hologram. 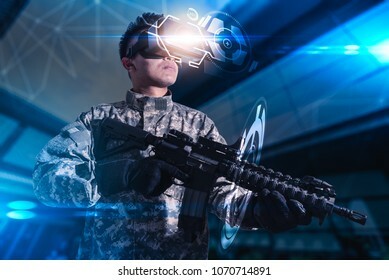 the concept of virtual hologram, simulation, gaming, internet of things and future life. 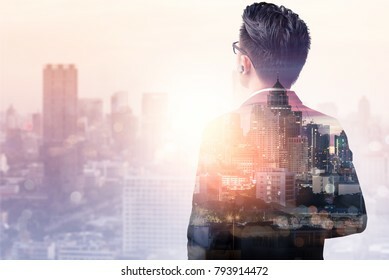 The double exposure image of the businessman wearing a necktie and suit during sunrise overlay with cityscape image. 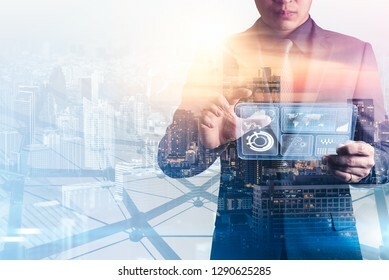 The concept of modern life, business, city life and internet of things. 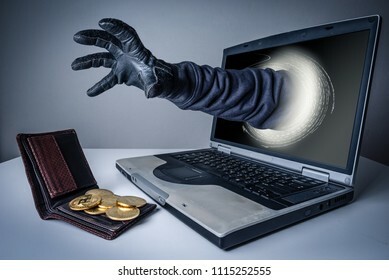 The abstract image of the hacker's hand reach through a laptop screen for stealing bitcoin in a wallet. 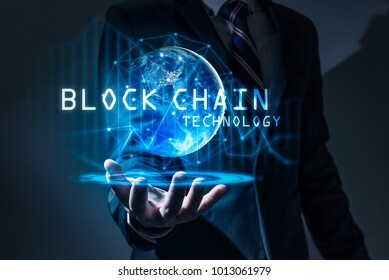 the concept of cyber attack, virus, malware, cryptocurrency, illegally and cyber security. 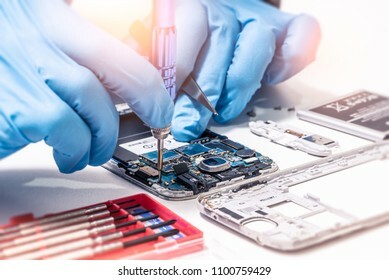 The abstract image of the technician assembling inside of smartphone by screwdriver in the lab. 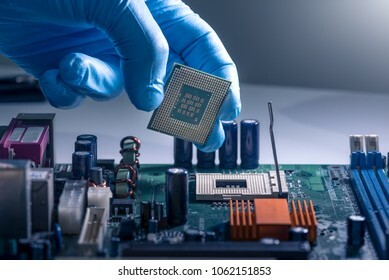 the concept of computer hardware, mobile phone, electronic, repairing, upgrade and technology. 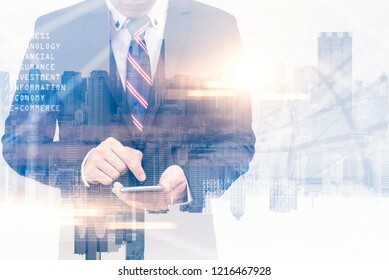 The abstract image of business man point to the hologram on his smartphone and blurred cityscape is backdrop. 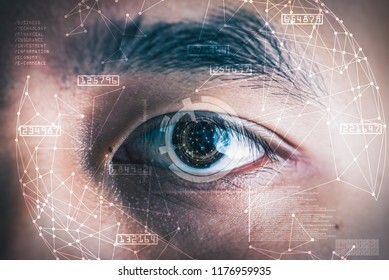 the concept of communication network, cyber security, internet of things and future life. 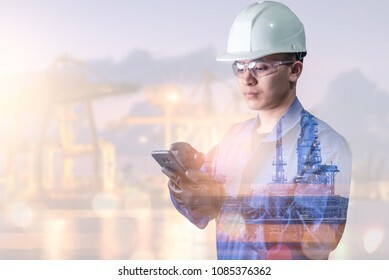 The abstract image of the engineer holding smartphone with hologram and the blurred power plant is backdrop. 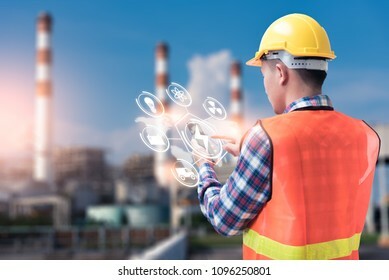 the concept of clean energy, futuristic, industrial4.0 and internet of things. 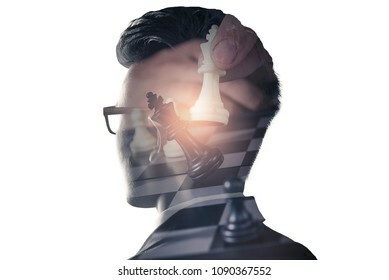 The double exposure image of the businessman thinking overlay with chess game image and white copy space. the concept of strategic, planning, management, intelligence and education. 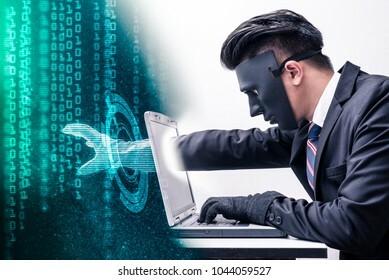 The double exposure image of the hacker using a laptop overlay with binary code image and blurred cityscape is backdrop. the concept of cyber attack, virus, malware, and cyber security. 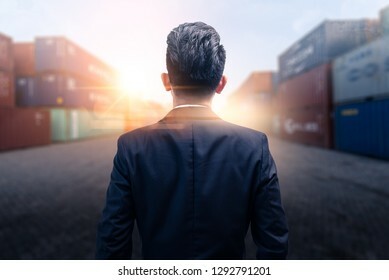 The abstract image of engineer standing in the container yard during sunrise. the concept of engineering, shipping, shipyard, business and transportation. 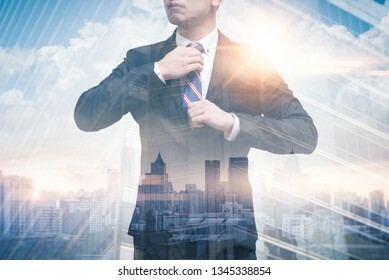 The abstract image of the businessman use a thumb scanning during sun shining. 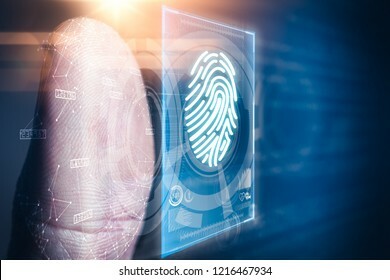 the concept of fingerprint, biometric, information technology and cyber security. 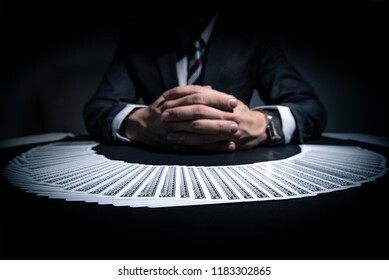 the abstract image of the play cards stack over front of the dealer. the concept of casino, gambling, poker, blackjack and cards. 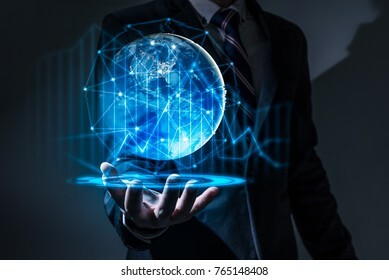 The abstract image of the hand point to the business virtual hologram through the computer screen. 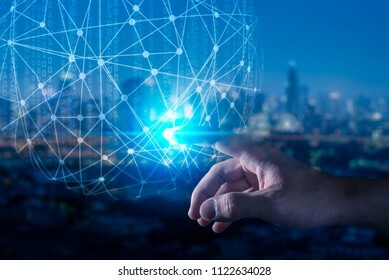 the concept of communication network, cyber security, internet of things and future life. 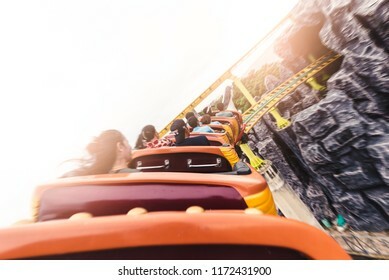 the abstract image of the roller coaster running on the rail in amusement park. the concept of extreme, fun, holiday and vacation. 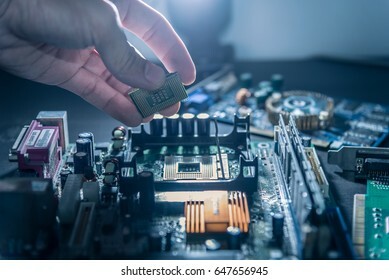 The technician is laying a CPU on the socket of the computer motherboard. 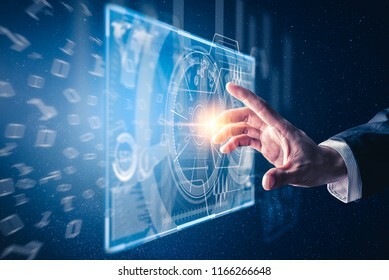 the concept of computer, service, electronics, hardware, repairing, upgrade and technology. 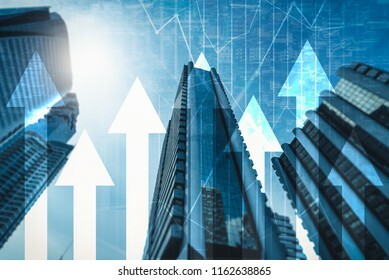 the abstract image of the skyscraper image overlay with business chart image. 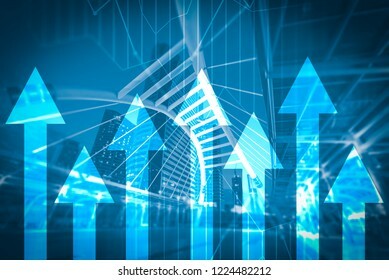 the concept of accounting, financial, economy and investment. The technician hold the screwdriver for repairing the computer. 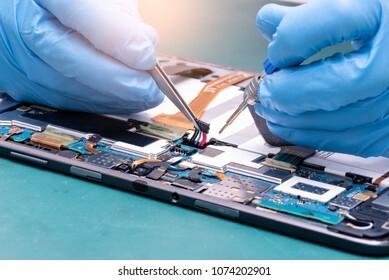 the concept of computer hardware, repairing, upgrade and technology. 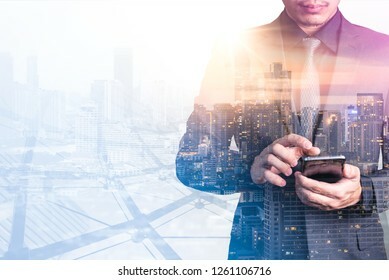 The double exposure image of the businessman using a smartphone during sunrise overlay with cityscape image. The concept of modern life, business, city life and internet of things. 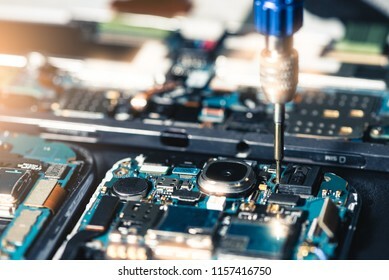 The abstract image of the asian technician assembling inside of tablet by screwdriver in the lab. 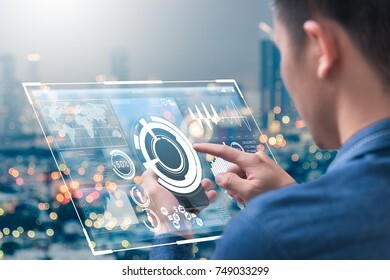 the concept of computer hardware, mobile phone, electronic, repairing, upgrade and technology. 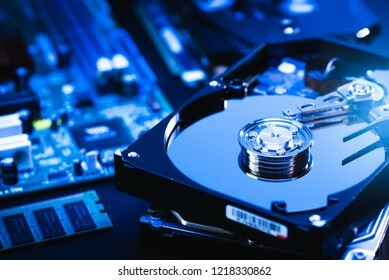 The abstract image of inside of hard disk drive on the technician's desk and a computer motherboard as a component. 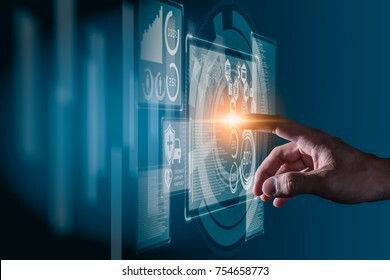 the concept of data, hardware, and information technology. 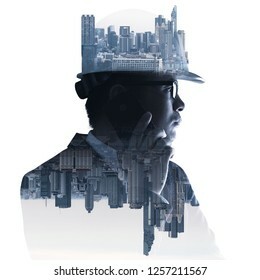 the double exposure image of the engineer using a smartphone overlay with oil refinery image.The concept of modern life, engineering, construction and internet of things. 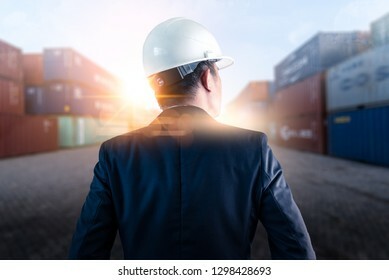 The abstract image of the engineer standing and looking up to the shipping container during sunrise. 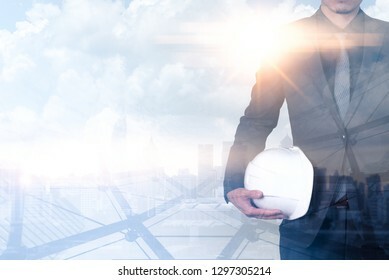 the concept of engineering, shipping, shipyard, business and transportations. 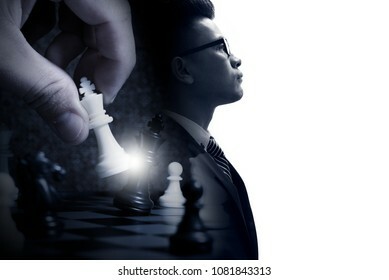 The double exposure image of the businessman standing overlay with chess game image and white copy space. the concept of strategic, planning, management, intelligence and education. 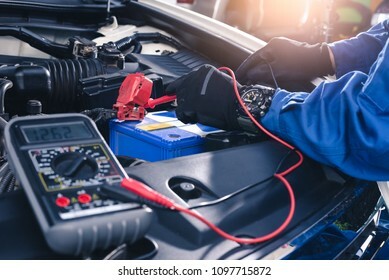 The abstract image of the technician using voltage meter for voltage measurement a car's battery. 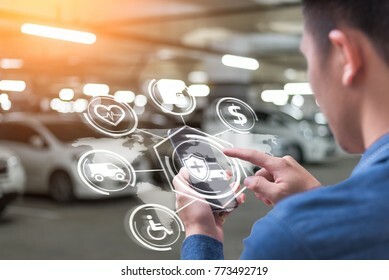 the concept of automotive, repairing, mechanical, vehicle and technology. 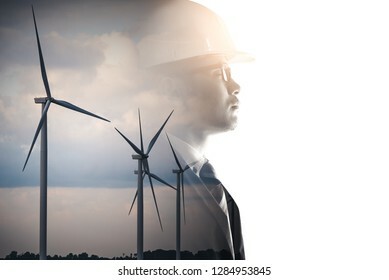 The double exposure image of the engineer standing back during sunrise overlay with wind turbine image. 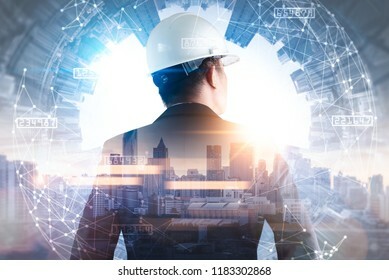 The concept of engineering, power, electricity, environment and future. 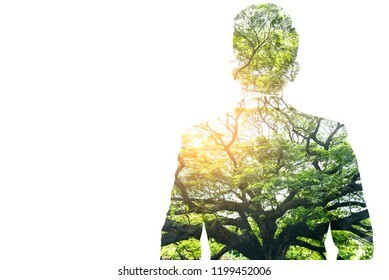 The double exposure image of the businessman standing during sunrise overlay with forest image and white copy space. 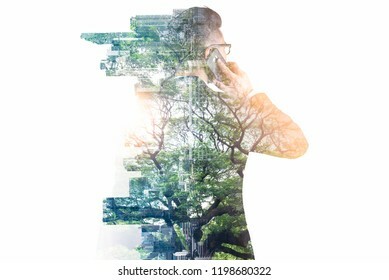 The concept of nature, freedom, environment and business. 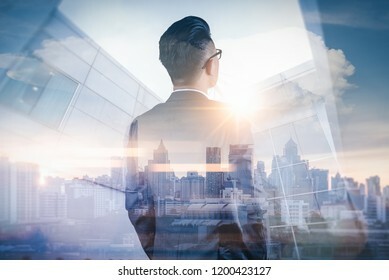 The double exposure image of the businessman thinking overlay with futuristic illumination lamp. 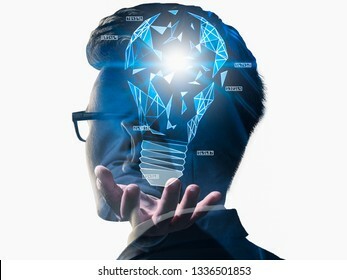 the concept of imagination, technology, future and inspiration. 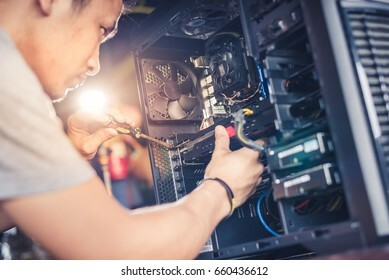 The technician is putting the CPU on the socket of the computer motherboard. The abstract image of the chipset illumination on the computer mainboard. 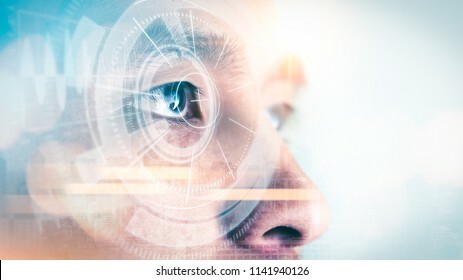 The concept of computer, hardware, futuristic, electronics and technology. 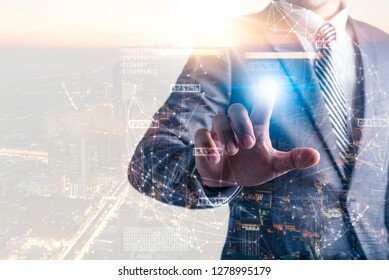 The abstract image of business man point to the hologram on his smartphone and blurred garage is backdrop. the concept of communication, network, insurance, financial and internet of things. 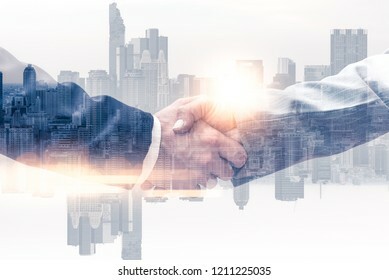 The double exposure image of the businessman handshaking with another one during sunrise overlay with cityscape image. 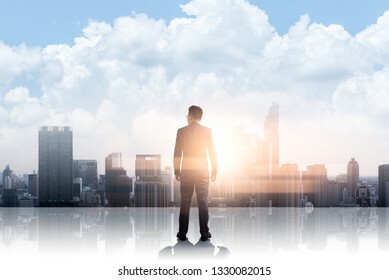 The concept of modern life, business, city life and partnership. 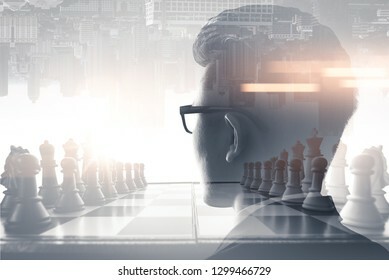 The double exposure image of the businessman thinking overlay with chess game and cityscape image and white copy space. the concept of strategic, planning, management, intelligence and education. 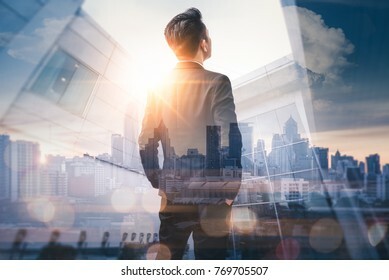 The double exposure image of the businessman standing back on the rooftop during sunrise overlay with cityscape image. The concept of modern life, business, city life and internet of things. 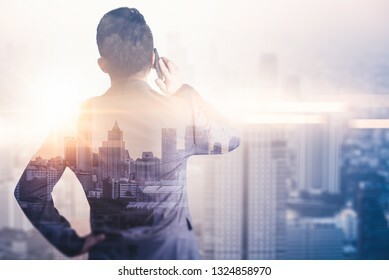 The double exposure image of the businessman using a smartphone during sunrise overlay with nature and cityscape image. 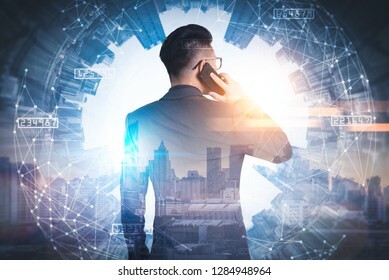 The concept of telecommunication, technology, 5g and internet of things. 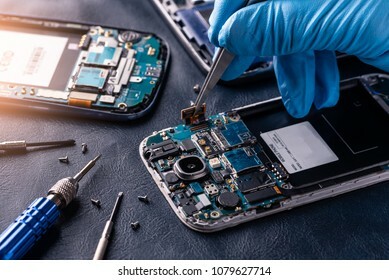 The asian technician repairing the smartphone's motherboard in the lab. 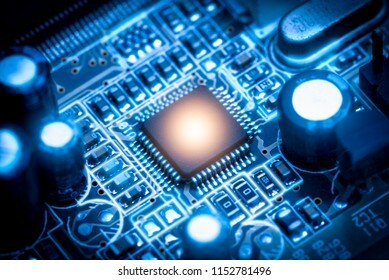 the concept of computer hardware, mobile phone, electronic, repairing, upgrade and technology. 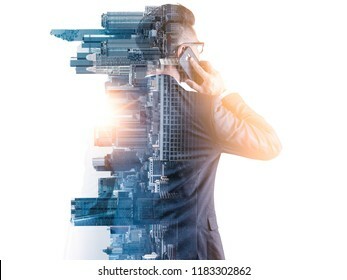 The abstract image of business man point to the hologram on his smartphone and blurred traffic is backdrop. the concept of communication, network, insurance, financial and internet of things. 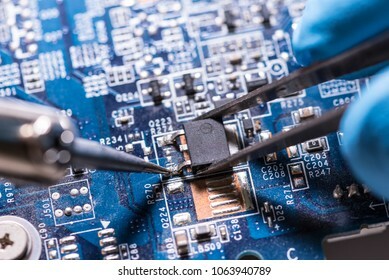 The asian technician repairing the computer's circuit board by soldering in the lab. 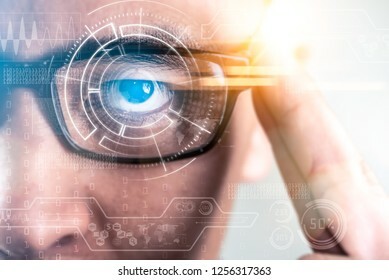 the concept of computer hardware, mobile phone, electronic, repairing, upgrade and technology. 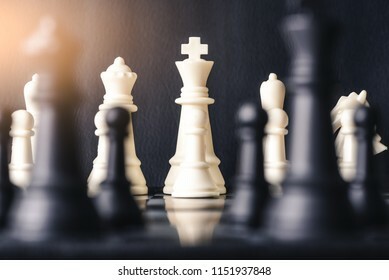 the abstract image of the black and white chess king face to face on the chess board. 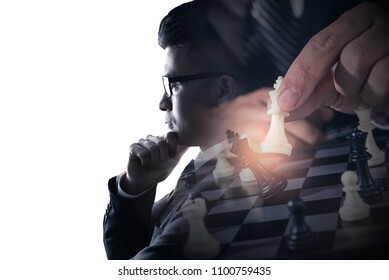 the concept of strategy, intelligence and education. 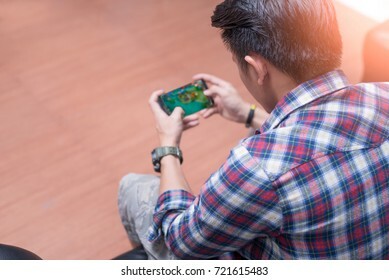 The abstract image of the asian gamer playing video game by the smartphone. 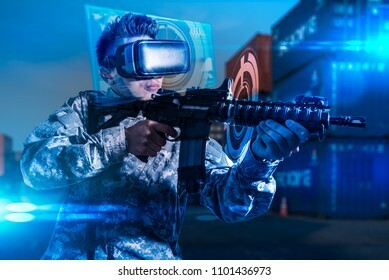 the concept of activities, gaming, technology, lifestyle, education, e-sport and internet of things. 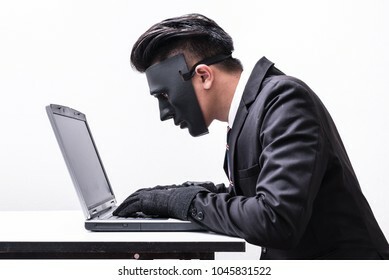 The abstract image of the hacker or programmer wear a mask using a laptop in the empty white room. 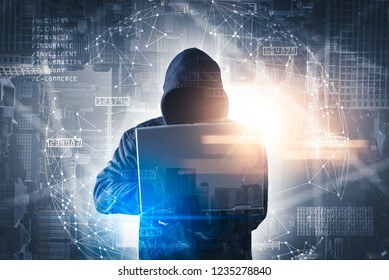 the concept of cyber attack, virus, malware, illegally and cyber security. The double exposure image of the businessman's eye overlay with futuristic hologram. 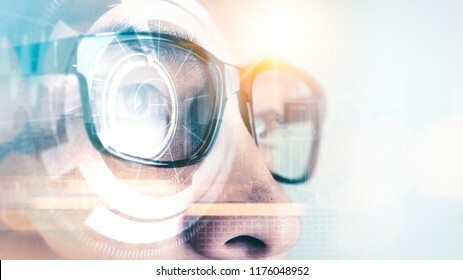 The concept of modern life, futuristic, technology, iris scanner and internet of things. 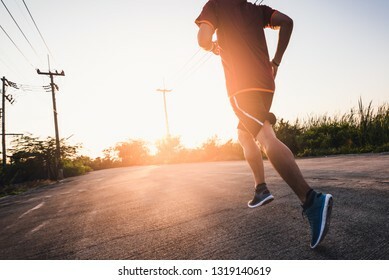 the abstract image of the runner running on the countryside road in the morning. the concept of healthy, running, energy and future. 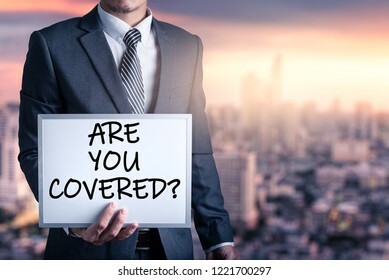 The abstract image of the businessmen holds a whiteboard and text wrote "Are you covered?" 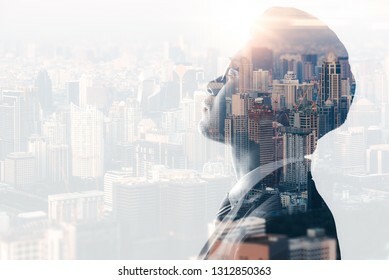 during sunrise overlay with cityscape image. The concept of insurance, business, health care and emergency. 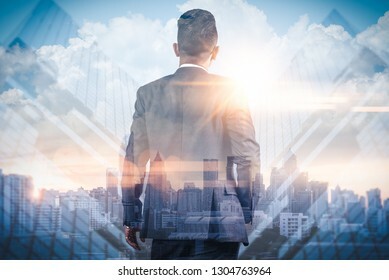 The double exposure image of the businessmanlift up the hand for handshake or deal during sunrise overlay with cityscape image. 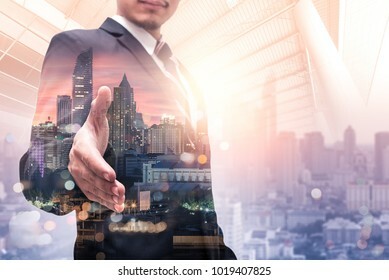 The concept of modern life, business, city life and partnership. 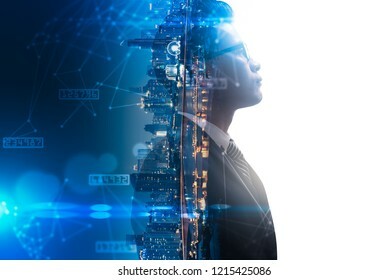 the abstract image of the businessman point to the futuristic years hologram. 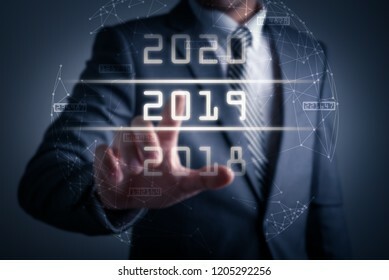 the concept of new year, futuristic, 2019 and internet of things.